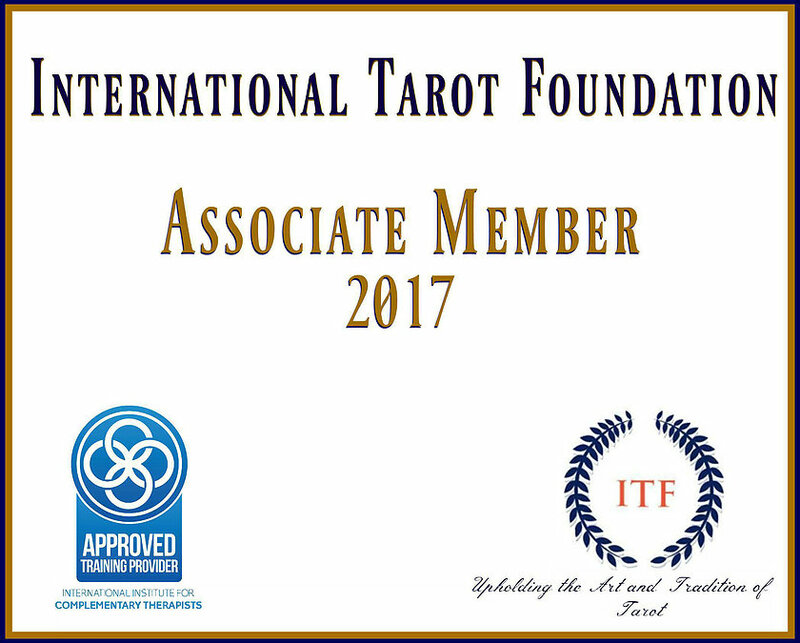 Over the last few years, Oracle decks have been gaining in popularity among Tarot and non Tarot readers alike. Many readers choose to use an Oracle deck in addition to the Tarot cards they may pull each day, giving them a little bit more depth and insight into messages that are important. One new Oracle deck, Secrets of the Mystic Grove is a truly beautiful new deck from U.S Games featuring artwork from Mary Alayna Thomas coupled with the amazing Arwen Lynch crafting the book of interpretations that accompanies this 44 card deck. This Oracle deck invites it’s user to enter into the world of imagination and beauty, that quickly enfolds you in its mystical landscape. Cards such as 43: Unity that welcomes you to the realm of spirit, and a gorgeous air of zen. Amongst the purple banner and a pair of charming chickadees you will find butterflies, roses and the theme of connectedness, harmony and equilibrium. Card 22: Beauty. A woman in deep thought poses on this card along with orange blossoms, maidenhair ferns and a colorful little bird. Self esteem; Radiance and Strength are the message of this card, encouraging the reader to choose that which brings joy to their hearts and brings forth your inner radiance. This deck is a bit bigger than most decks but the size is awesome for getting the most from the amazing artwork. It truly does beg a deeper stroll into this magical world of insight and discovery. The accompanying booklet, 95 pages long and full of different ways that you can integrate its meanings into your daily life and at the end of each cards narrative, there are three very insightful journaling prompts that will help you integrate its message as it applies to your life, making it quite personal. I absolutely adore these cards, each morning I pull one or two for my day or use the special spread included at the end of the booklet. 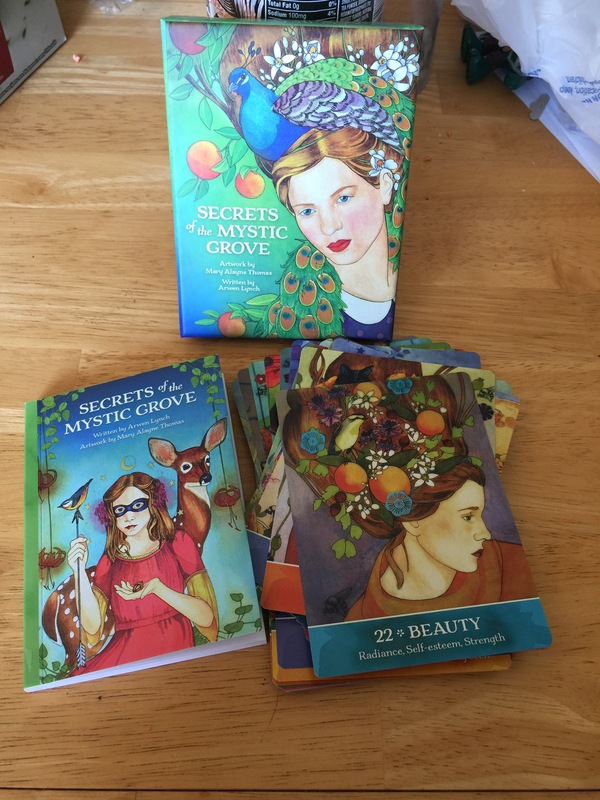 Secrets of the Mystic Grove can be used as a stand alone method of introspection or alongside of your favorite Tarot deck. This is a wonderful deck that can be used if you’ve had Oracle card experiences or if you’re an absolute beginner. I LOVE these cards – so, so beautiful!! Cannot wait for them to arrive!! Thanks so much for sharing – the Art Work is a knock out and Arwen’s Words will be totally inspiring! !